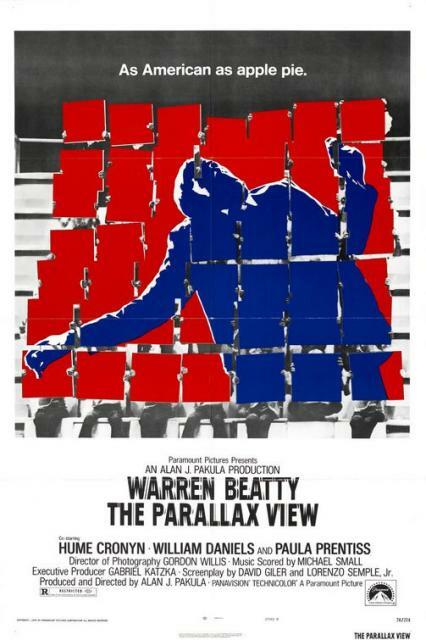 While investigating a string of deaths associated with the murder of a politician (William Joyce), a journalist (Warren Beatty) learns about the mysterious Parallax Corporation, which trains assassins. Yes, as a powerful thriller by a master director. Discussed at length in Peary’s Cult Movies 2, and nominated by Peary as one of the best movies of the year in his Alternate Oscars book. An absolute must. A riveting, unforgettable piece of cinema. Not sure why I never got around to revisiting this one since its release. (Well, being a true ff, there’s not always time to revisit.) But seeing it again, its power once again struck a deep chord. It’s just remarkable work. As with Pakula’s ‘Klute’, I don’t find ‘TPV’ (what a deliciously and appropriately confounding title) that hard to follow. Mainly because, in both films, we’re given the minimum information we need to follow stories that do not serve up easy answers. As audience members, we are as left in the dark as both films’ protagonists. We, therefore, live their realities. We have knowledge, but only so much. That’s how paranoia makes itself felt. DP Willis’ work is nothing short of stunning. One could almost – as is often the case with Willis – watch the movie with the sound off and have a whole separate experience. ‘TPV’ had an intriguing triumvirate of writers at work: David Giler – of the ‘Alien’ series, Lorenzo Semple, Jr. (‘Pretty Poison’, ‘Three Days of the Condor’), and an uncredited Robert Towne. What an all-too-believable cocktail they served up! Amazingly, this film still resonates strongly. The world is made of shadowy stuff like this – perhaps it always has been. It was a long time between viewings of this one for me. But I think I’ll be back before too much time passes again. An amazing film that’s a great personal favourite – I find it strange that it’s seldom mentioned when people are discussing or writing about great films of the 70s. Paula Prentiss is one of (possibly the best of) the many actresses wasted by Hollywood. I didn’t realise until recently watching ‘California Split’ that she had an acting sister Ann who was just as good and just as wasted (and whose life went tragically off the rails).